A hearty breakfast made of fresh apple juice, fresh muesli and yogurt, toast , apricot jam and cheese started our day. “What shall we do?” I asked P. while we were finishing our food. “Not sure,” he said still looking asleep but yet with an expression that showed he was thinking. Lulu kept looking at the two of us in turns with a smile. It was clear that she was guessing that something good indeed was going to happen. I looked at him. And smiled. Oh yes, please! It sounded so needed! It felt so right! “What time is it?” I asked. Immediately, I thought about lunch. Close to noon, I knew, Lulu would be hungry. And we would too. I didn’t need to ask, really. And then, I was thankful for the leftovers of black quinoa and watercress sauce I had kept from our lunch the day before. And the madeleines I had baked too. Hard boiled eggs, apples and yogurts completed our meal. Lulu was happy. So happy indeed. We drove to Crane Beach, a favorite beach of ours , only a short hour north of Boston. We like it there at this time of year. The crowds are away and the beach feels like it is all yours to enjoy. Lulu surely felt this way. It was nice to watch her. She kept staring at the water and gentle waves that moved rhythmically, and then she liked to pick shells and feel the sand between her fingers. “Tu as faim ?” (Are you hungry?) I asked her. She was now busy running close to water line to throw the shells back in. “Non !” she answered in an assertive tone. That stopped her there. She lifted her face up to face me. “Oui ! Madeleine !” she exclaimed. We sat down and I handed a madeleine to Lulu while P. and I had one each too. Then she ate another one. “I wish it were like today every day of this week,” I said. And the thought of the scene of the three of us there made me feel happy. I knew that I would remember that day in early March. La plage, Lulu et les madeleines. Preheat the oven at 420 F and have a 12-piece madeleine mold greased ready; set aside. In a bowl, combine the quinoa flour, hazelnut meal and baking powder; set aside. 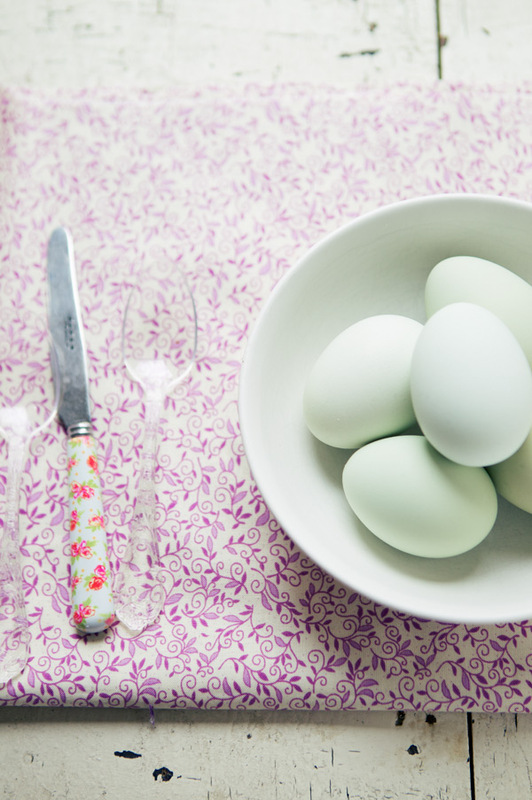 Beat the eggs with the sugar and a pinch of salt until light in texture. Stir in the butter and vanilla, and then the flour mixture. Divide the batter in 2/3 and 1/3. Add the cocoa to 1/3 of the batter. Let both batters rest in the fridge, covered, for an hour. Using two teaspoons, add a heaped teaspoon of vanilla batter in each mold and do the same with the cocoa batter. Use a small fork to mix the two batters gently together. You have enough batter to fill the 12 molds. Bake the madeleines for 7 minutes before reducing the oven temperature to 350 F. Prolong the cooking time for 4 to 5 more minutes. Remove the madeleines from the oven and let cool for 5 minutes before unmolding and leave to cook on a rack. Préchauffez le four à 210 C et graissez un moule à madeleines de 12 alvéoles; mettez de côté. Dans une jatte, mélangez la farine de quinoa, la poudre de noisettes et la poudre à lever; mettez de côté. Battez les oeufs avec le sucre et le sel jusqu’à blanchiment de la préparation. Ajoutez le beurre et la vanille et mélangez bien. Ajoutez ensuite le mélange de farines. Divisez cette pâte en 2/3-1/3. Ajoutez le cacao dans le 1/3. Couvrez les pâtes parfumées et mettez-les au frigidaire pendant au moins une heure. En utilisant deux cuillers à café, remplissez les alvéoles de préparation à la vanille, puis de celle au cacao. Utilisez une fourchette pour les mélanger légèrement. Cuisez les madeleines pendant 7 minutes puis baissez la température du four à 180 C. Poursuivez la cuisson pendant 4 à 5 minutes. Sortez les madeleines du four et laissez-les refroidir pendant 5 minutes avant de les démouler. Laissez ensuite refroidir sur une grille et dégustez. From Proust to Lulu, the madeleine continues to inspire lifelong childhood memories. Such a lovely post for a lovely morning at the beach. Ben tiens, c’te bonne blague. Une madeleine, ça ne se refuse pas. Surtout au chocolat. Sweet. I would’ve loved for Lulu to have shared her Madeleines with me. She’s a living doll. And you’re creating wonderful memories for her. Madeleines with quinoa flour! I love that idea. Again another beautiful post. I could gobble those madeleines up right through my computer screen. I have also never made madeleines before but have been eye balling the baking sheets at the store for 6 months. Maybe it’s time I gave it a try! Beautiful shots, sweet day, and luscious madelines..all on the beach. A beautiful post. 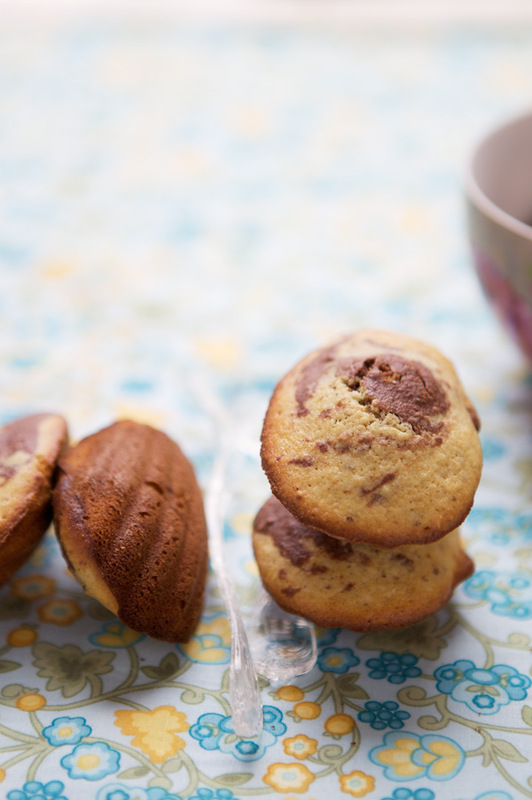 Elles sont parfaites ces madeleines! c’est moi ou il n’y a pas de chocolat dans cette recette? gorgeous post bea. how i love the beach in the winter. love seeing lulu all bundled up. it’s warm here already. and i love the pip studio bowls. they are also one of my favorites. match the delicate madeleines perfectly. J’aime la plage Crane, sauf pour la troisième semaine de juillet. Merci pour les souvenirs. When my baby girl (who is now nearly 21 and was just accepted to culinary school) was young, she was fixated on making madeleines. 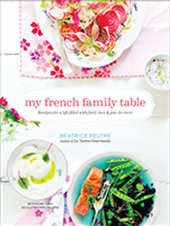 So much so that she gave me a madeleine pan for Christmas one year as a subtle hint – cute! I adore the beach in winter too. So peaceful! I’m wondering… I just bought chestnut flour. Would that work instead of hazelnut meal? I might try it. Reading your posts always reminds me of my friend who constantly reminds us (age 20) of the biological clock. So adorable. Amazing! I adore the beach in autumn and winter, it reminds me of summer time (so I become very impatient waiting for it)! Perfect, next week I’ll bake these madeleines! C’est malin, maintenant il me faut un plat a madelaines. Quel beau pique-nique devant cet océan que je rêve de voir un jour à ce temps-ci de l’année! La seule chose dont je peux me contenter à la suite de ton billet est de faire des madeleines, ce que je m’apprête à faire aujourd’hui-même. Merci pour toutes ces belles idées! merci de partager avec nous la douceur et la simplicité de cette journée! Le meme aussi pour moi. Avec La Tartine Gourmande ma jour fait bien! 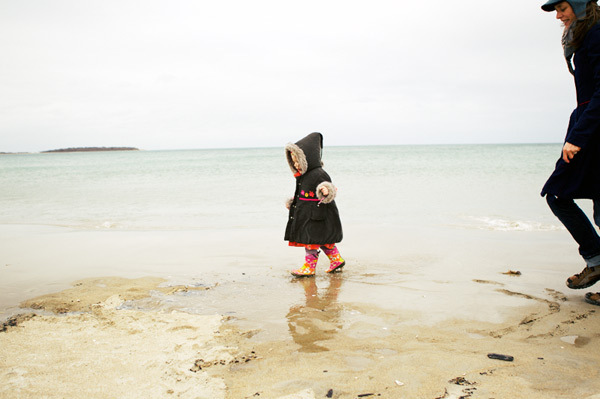 Such a lovely tale, Béa and a great childrens’ story title… I love the photo of Lulu wandering happily along the beach – in her cute hooded coat & wellies – adorable! Gorgeous day! I love Lulu’s boots!! so cute!! I am so thankful for your beautiful posts and wonderful gluten free recipes. Merci! I love madeleines, I’ve just sent some lemon ones into my little girl’s school, a Friday morning treat for the teachers. 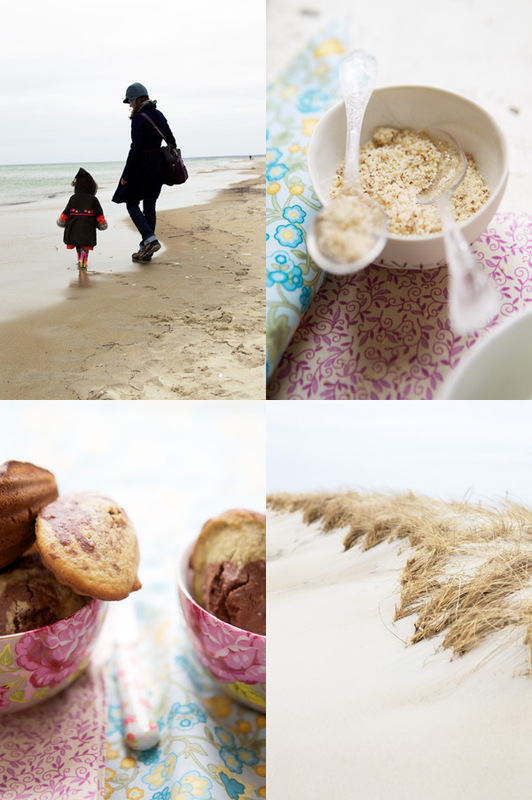 Thanks for your inspiring pictures and wonderful ideas, next time I’m in Brittany I’m making madeleines as a beach snack! Oh how delicious in every possible way. The beach in winter is my absolute favorite. I love the hazelnut meal in the recipe by the way. My first ever madeleines and my first ever gluten-free bake… perfect! Thank you Bea. Latha, oh did you bake them? I, too, found the combination of quinoa flour and hazelnut meal a winner. I am sure chestnut flour can be also very interesting and tasty! Let me know how they turn out. I love you beautiful blog even more now. I lived in South Hamilton for 3 years, moving only 8 months ago and miss it so. 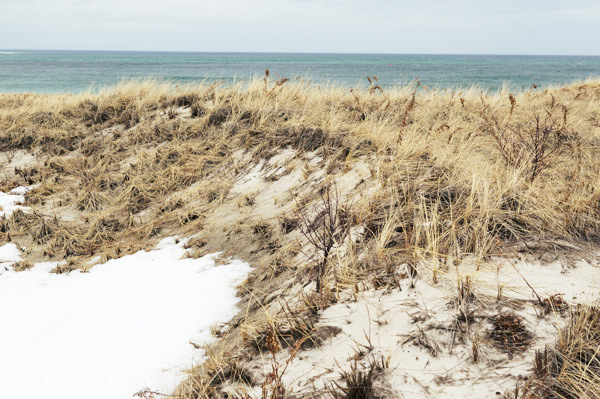 Crane Beach is gorgeous and wonderful for walking and exploring. Such a sweet post! And lucky little Lulu who has her mum bake these gorgeous madeleines! A very beautiful post, Béa. I have millet flour and almond meal. Do you think these would work in lieu of the quinoa and hazlenut flours? Thank you Dana. Absolutely it would work. I am sure it will be very tasty! Ah la petite Lulu, on la voit grandir et grandir…Bon dimanche ! Oh Latha, this is super. Makes me happy! What a pretty picture you paint, and you bring back such lovely memories with childhood thoughts of Madeleines. Lulu is lucky indeed to be raised with a healthy dose of both cultures. One of the things I am most grateful for as a first gen American. It looks really like a perfect day! I love the way you have to put colours in life! 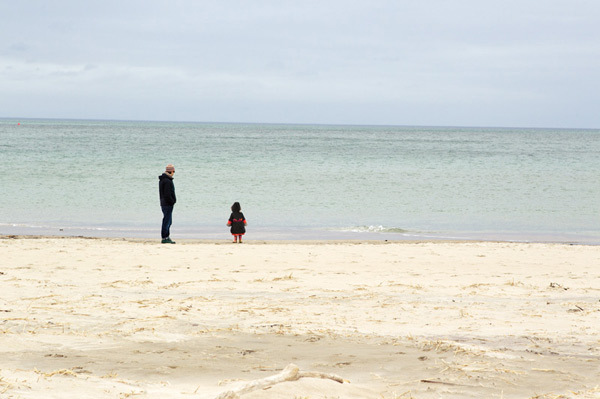 Thank you for this post Bea, it’s a lovely tale from a happy family day! I’ve just spent a few days with my daughter at the seaside too, and even though the mediterannean sea is not as gorgeus as the ocean your post reminded me the calm lazy atmosphere of a winter ‘a cote de la mer’ day! Crain beach is my absolute favorite. Lovely pictures. oh i love your photos!! so beautiful!! and your daughter is darling!! Béa, you are very good with words. And pictures, both real and those we can imagine ourseves. And recipes! I think this recipe will make my very first madeleines, as I’m much more into chocolate and vanilla than the traditional lemon ones! Thank you for sharing. But, can I replace the quinoa flour with regular? And cane sugar with normal white sugar? I just loved your little story and the receipies!!!! Lovely post! I’m heading to Boston next week, and Crane Beach is one of my stop. I hope it’s not too cold! I hear there is snow today:-(! Looking forward to some fried clams at Woodman’s! Bonjour! 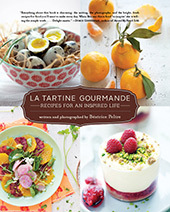 Despite my nickname, i’m french, and i would love to have the recipe in french… i saw on your site that you usually translate your recipes in french, are you going to do this with this recipe? I tried to cook madeleines lately but they were quite dry… i hope i will do better with this recipe!! Anyway thanks for your site that i discover lately, it’s really lovely, i love the pictures and the stories around your cooking. Irish, je vais traduire la recette! Merci. Mvmaithai, yes it snowed yesterday. Crazy! Thank you for such a beautiful post. For me, this entry totally encompassed the relationship with food and memories. Like how bread pudding always reminds me of my last night in London last year. Now, every other time I’ll have it it will remind me of that day. Also, I love your pictures. They are beautiful and help to illustrate your writing to us! bonsoir, lectrice parisienne d’habitude silencieuse, je découvre avec nostalgie vos photos de Crane Beach, un de mes endroits favoris sur la côte Est. Votre blog est un vrai régal, merci ! The coast is something that fascinate me! bonjour, j’ai découvert votre site via un ami de Boston qui me l’a fait découvrir et je dois avouer que je l’adore, vos photos sont vraiment très jolie et donne envie et vos recettes sont super! et très original de faire le coin français! fantastic fairy-tale about la plage, Lulu+les madeleines…j adore:-))) I should get myself the madeleines-moule next time I am in France…happy Easter-weekend from tulipland Holland! I really like this page! The photos are amazing. I am hoping to try these madeleines for a baby shower I am hosting later in July. I just wanted to check about the directions. 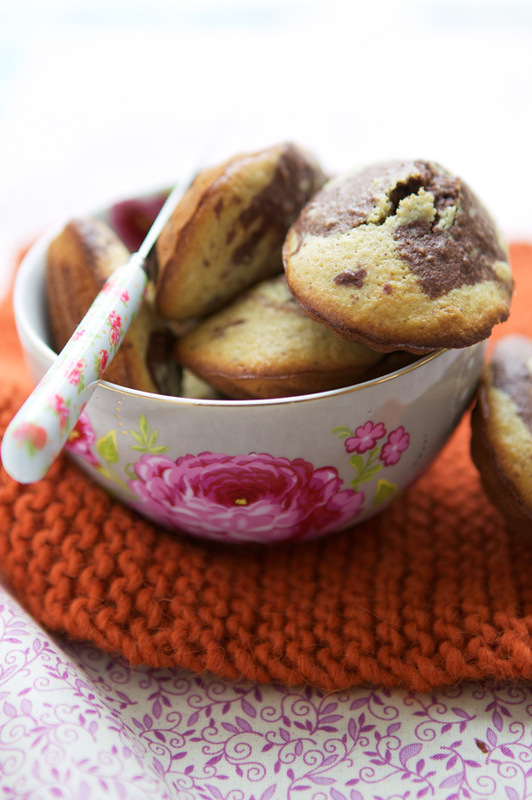 Is each madeleine only two heaping teaspoons of combined batter? I will try them once before the party to see how they turn out! Thanks for the inspiration in the kitchen! Lots of love from Denmark!